JAM Orange is on a mission to make the Colour City known for its live music scene. Since the volunteer organisation formed four years ago, it has brought a host of international and national acts to Orange as well as providing an increasing number of venues to showcase rising local talents. Most recently, JAM Orange packed out the Bloomfield Hall for a performance from International act Fru Skagerrak and Melbourne Singer/songwriter Liam Gerner, part of the Festival of Small Halls tour. “We had about 220 people turn up and pack out the Bloomfield Hall for a very successful concert,” said JAM Orange President, Paul Kelly. Paul and other members of the volunteer committee are keen to see Orange become known as a music city. As well as holding and promoting visiting acts, JAM Orange is particularly focused on developing local talent. By liaising with local licenced venues, JAM Orange has been able put on successful monthly Open Mic nights and provide and audience for new performers. Already the open mic nights have opened up other opportunities for a number of local musicians who first stepped on stage at a JAM Orange event. “It’s a great opportunity to see the young people that are out there, that haven't had a venue to play. And the publicans in Orange have been exceptionally supportive in terms of that,” said Paul. 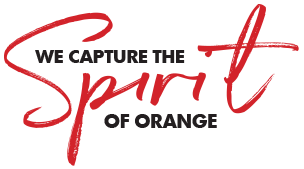 Paul and the JAM Orange committee are in the process of planning for another big year of live music and events in Orange and are hoping for as much community input as possible as they prepare a strategic plan. Keep an eye (and an ear) out for future JAM Orange gigs, or follow their Facebook page to make sure you don’t miss out. Mar 6 New Boutique Hotel…oh so close!